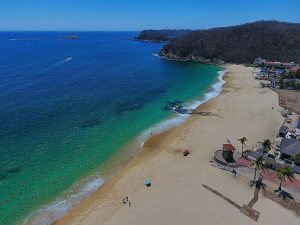 Bahia Chahué is one of the most popular beaches in Huatulco and a favorite with travelers and locals. Chahué means humid place because many years ago there was a freshwater lagoon near the beach that became a home to animals including crocodiles, cougars, and deer. It’s soft white sandy beaches make it very enjoyable for strolling along the shore or practicing yoga. Take in a volleyball or soccer game, enjoy some live music at the beach club or simply relax beachside and watch the waves roll in. When Chahué was designed, a yacht marina was built on one side of the beach. Here you will find many high class tourist services, such as 4 stars hotels and restaurants. Sector O in the Chahue Bay area is one of the newest communities developed by Fonatur in Huatulco. It has become customary to spend New Year’s Eve at Bahia Chahué dancing, dining and listening to music around bonfires on the beach. The beautiful beaches of Chahué boast beautiful tropical vegetation and interesting rock formations. In this bay there have been several important rock concerts in order to sport the preservation of the environment. 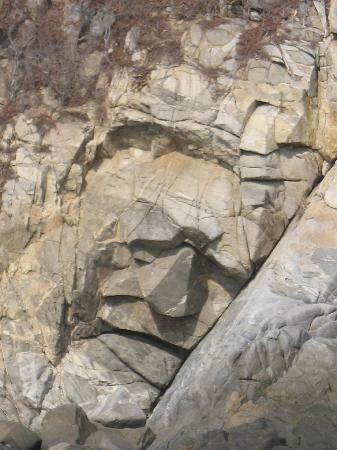 A spectacular natural attraction you will see at Bahia Chahué is the rock formation called “The Sleeping Giant”. It consists of hills that go into the sea and that, from a distance, resembles a man lying on the ocean floor. There is another rock formation individual characteristics called “The crocodile-headed turtle” that serves as a refuge for birds in the nesting season. Because the ocean floor drops dramatically near the shore, the beach may not be appropriate for children or those learning to swim. 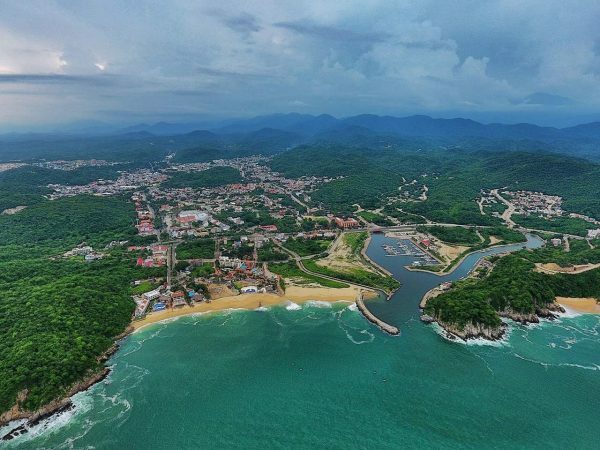 On your next trip to Huatulco make Bahia Chahué one of beaches to visit. You will make wonderful memories soaking up the sun and enjoying the beauty of this popular beach.